Union, wellness, balance, confidence, peacefulness, alignment, focus, flow; there is no one word that describes yoga, nor the experience of yoga at Studio A. Through the breath, Yoga aims to calm, strengthen and purify the physical body, direct stress and anxiety to intention of the mind and invite peace and tranquility deep within our spirit. Dynamic movement or longer holds and unique sequencing work in harmony with awareness of the breath to release effort from the body allow a return to center, a clear perspective and invites pause in the now. In our daily living, dying and rising, we are reminded that on our mat, we belong to something greater. 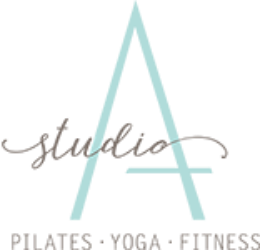 At Studio A, clients will feel challenged, but never overwhelmed and are encouraged to engage in a variety of classes designed to effort and return, lengthen and strengthen, to calm and correct, or to energize and revive. Turn breakdowns into breakthroughs as you explore the common postures and transitions of the foundations of yoga. Beginners and experts alike will benefit from each dynamic, step-by-step pose as we move towards growth and new understanding of the harmony within your mind and body. This class will deconstruct postures and leave you feeling empowered with tools to tackle even the most difficult shapes. We turn your obstacles into opportunities and help you uncover the confidence within yourself to achieve the result you have always wanted. Awaken your mind and body with this invigorating class that orchestrates breath with movement in a refreshing setting. Whether we work on flexibility or stability, uplifting or grounding, this class provides a physical and mental stretch to get you motivated and on the move. Each class takes on a fresh theme to keep you upbeat and focused. There is no better way to start your day! This class awakens the synchronization of breath with a continuous flow of postures to achieve strength, flexibility and relaxation. We bring physical awareness, mental consciousness and spiritual expansion into practice while maintaining the energetic flow and “meditation in motion” commonly found in a Vinyasa practice. Our instructors will break down the poses to ensure proper alignment so you can relax into the tranquil union of breath, movement and focus. Unique and intelligent sequencing provide variations for all levels allowing you to continuously challenge and deepen your practice. You will leave feeling light, balanced, and filled with a new zest for life. Yoga Lyft classes combine yoga postures with strength training to sculpt and tone. Hand weights and flex bands bring added resistance to yoga postures, and help students build strength and muscle through precise alignment at a steady pace. Instructors will both practice alongside the students and offer hands-on adjustments to ensure the sequences are achieved with safety and proper alignment. Designed for the seasoned practitioner, Firelight classes marry one’s interior lightness and strength through vigorous and mindful flows that build power, flexibility and concentration. Sequences are aimed to calm the mind and infuse the body in a fun atmosphere that may explore inversions, arm balances and Eka Pada standing variations. Linking conscious breath with a flow that demands focus and integrity will leave students feeling both powerful and light. Yoga Happy Hour is as refreshing as a cool summer drink. Explore and have fun with new shapes and sequences that will send you off feeling lighthearted and joyful. Cheers! B.K.S Iyengar said, “All yoga is restorative.” This class is for letting go. Of everything. Restorative yoga uses the assistance of props to help students through long, effortless hold times, moves gently through calming sequences, and passively approaches and maintains transitions the state of each shape. This low impact class will restore balance and peace through subtle forms without muscular effort. It is suitable for all skill levels, and can be practiced exclusively or in tandem with a more rigorous yoga or Pilates practice. The aim of this class is deep relaxation, and is akin to a day at the spa for your mind and body alike. Expectant mothers looking to prepare physically and emotionally for the birthing experience will find such benefits in a safe, nurturing environment. Sequences and postures are selected and modified specifically for mothers to stay active, feel peaceful, and relieve physical discomfort during pregnancy.